I have a couple of projects in the pipeline that require a fair bit of aran weight yarn (there's a little hint in the swatches below). As each of my suppliers has their own version of a wool/acrylic blend aran in 400g balls, I decided to have a little competition to pick which one to order. I've knit a little sample in each to compare the knitted texture and that, along with wool content, price and yardage will hopefully help me make up my mind. Hayfield Bonus Aran comes in 37 shades in a variety of solid, tweedy and heathered colours. 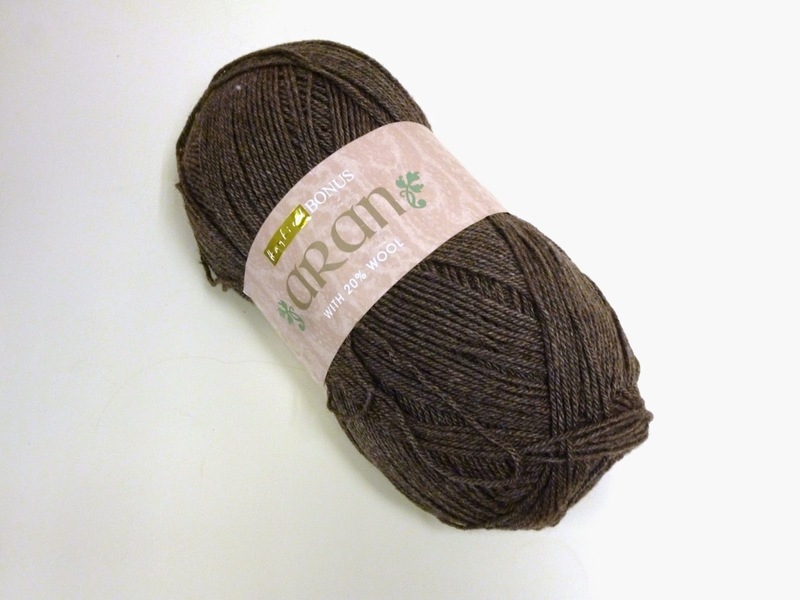 The 400g ball has 840m, contains 20% wool and would retail at £9.95. 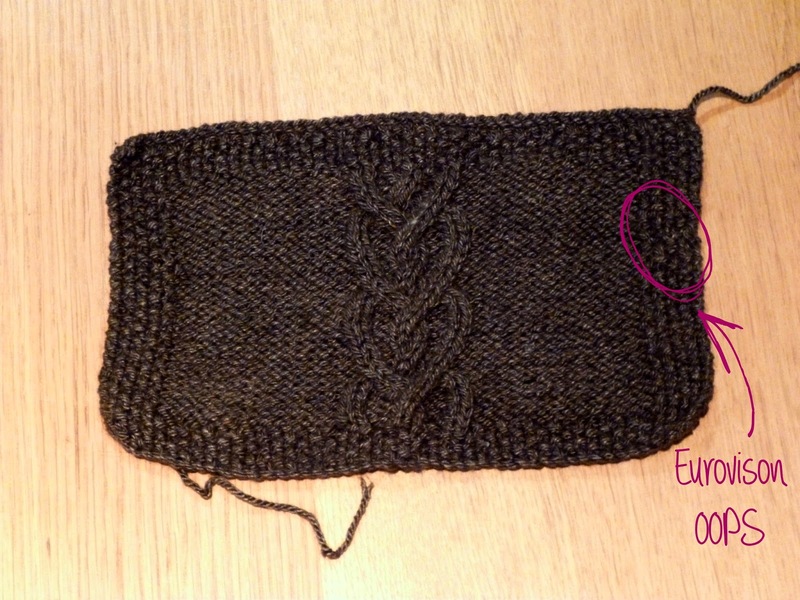 I enjoyed knitting with this yarn, it has great stitch definition and has made a fairly solid piece of fabric. It may not make the drapiest of garments but it's soft and smooth. 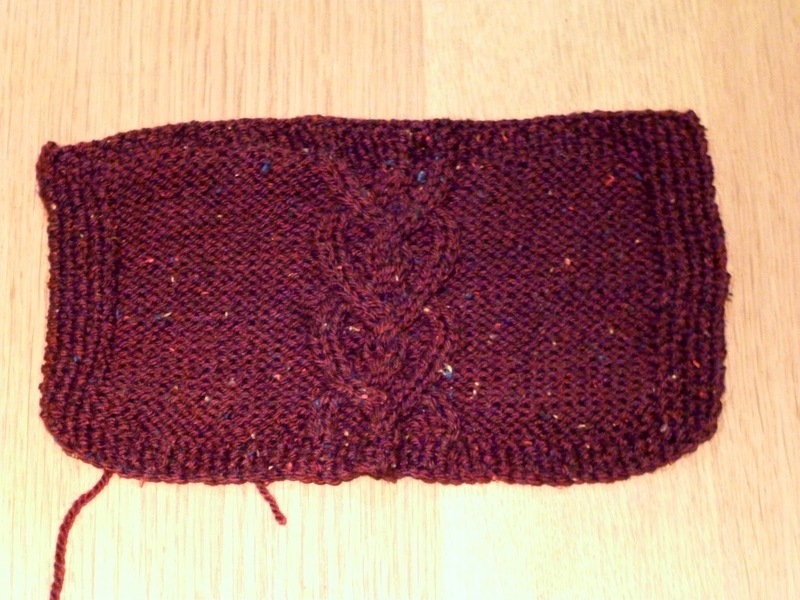 This swatch was knitted while I watched Eurovision with my big sister and shared a bottle of wine or two. I learned something about myself that night. 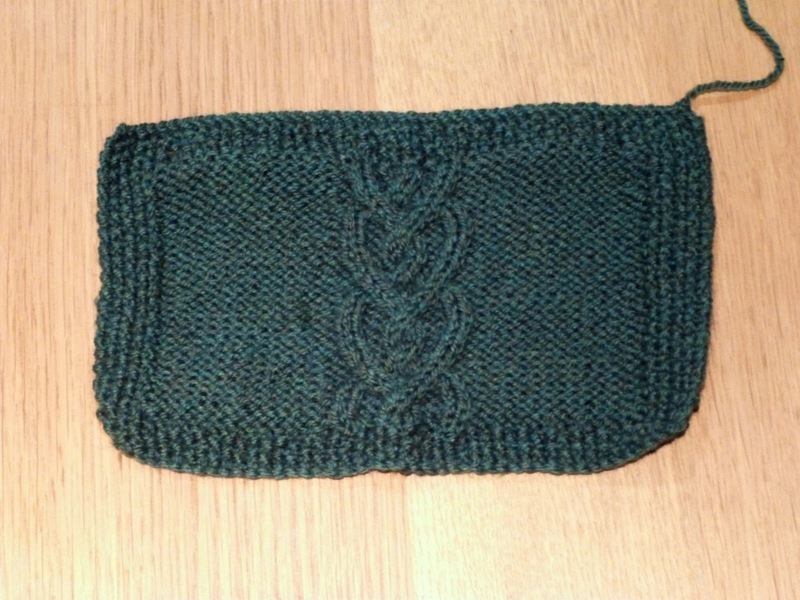 Apparently I can knit a semi-complicated cable pattern while drinking but I can't do moss stitch! 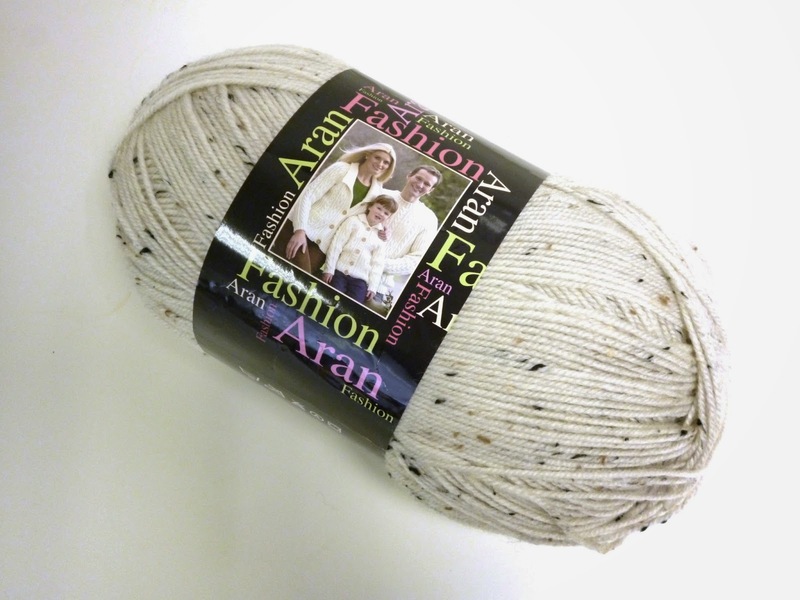 King Cole's Fashion Aran comes in 18 shades and is available in 100g balls or 400g balls. 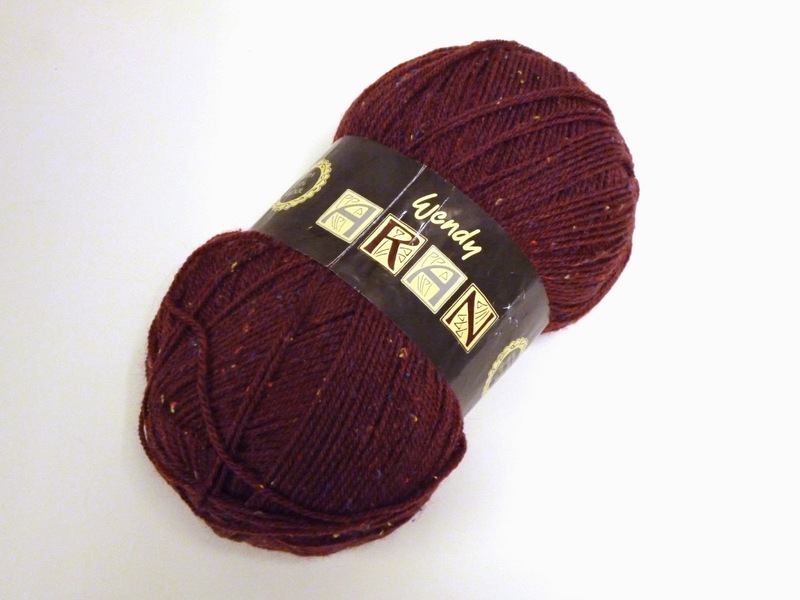 The 400g ball has 800m, contains 30% wool and retails at £11.95. This is the yarn that we currently stock in the shop so the swatch was knit in a remnant of the grey I used for the man slippers that took forever. It's a good basic yarn, slightly rougher on the fingers than the Hayfield, probably because of the extra wool content. 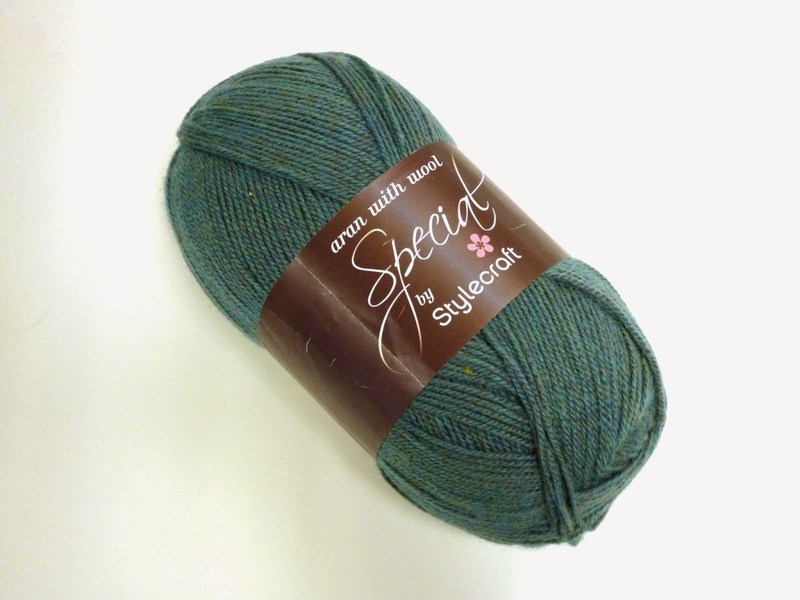 The Stylecraft Special Aran with Wool comes in 27 shades in a variety of solid, tweedy and flecked colours. The 400g ball has 816m, contains 20% wool and would retail at £9.95. This yarn is a soft as the super popular Special DK. 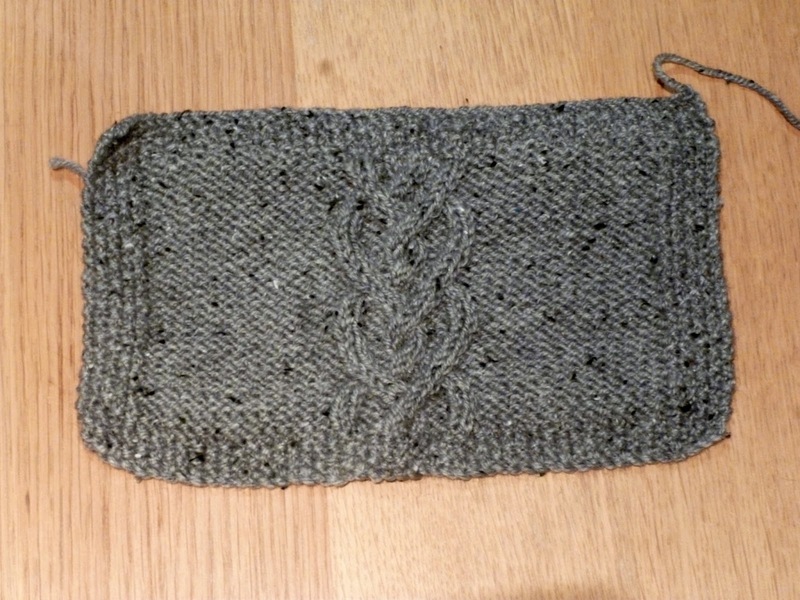 The finished swatch is light but it has a sheen on it from the acrylic which makes it look cheaper than the other yarns. Wendy Aran comes in 29 shades, ranging from classic to neon. The 400g ball has 800m, contains 25% wool and would retail at £10.95. I'm going to be honest here, the Wendy is not my favourite. The yarn was harsh to knit with and the resulting fabric is gappy. The stitch definition on the cables isn't great either. I don't think this yarn will make it though the cut. 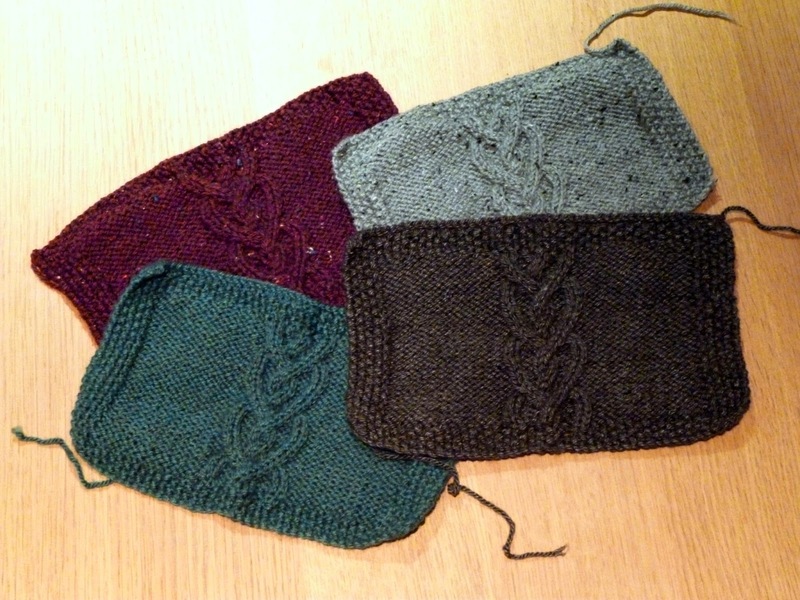 I'm going to have a ponder on the swatches and ask the Thursday night knitters what they think. So far the Hayfield is my favourite but I'm easily swayed so I'll see what everyone else thinks and let you know the winner. Have any of you had any experience with these yarns? How do you pick a yarn for your project?